Lid：Lid conceals smelly clothes while also keeping your dirty laundry out of sight. Durable and Lightweight: designed from polyester linen to be lightweight yet durable for frequent use in your bedroom, laundry room or bathroom and that hampers is durable, waterproof and easy to clean. Spacious Interior: the laundry hamper can hold up large of dirty clothes. 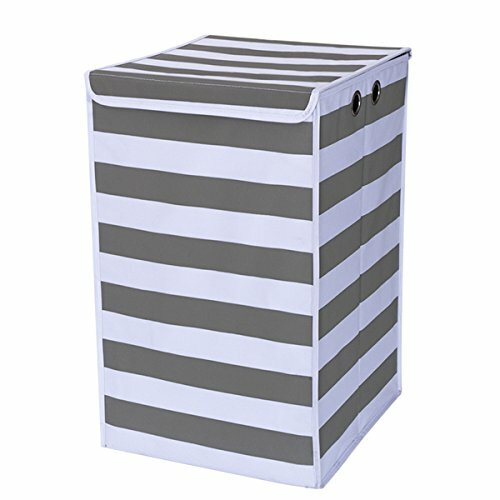 Clothes Organizer: Using for the bedroom, washroom, kid\'s room and etc.